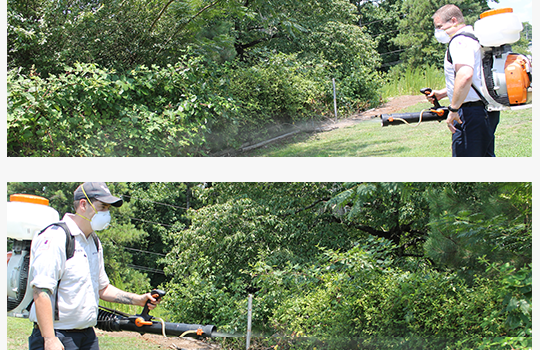 Mosquito Control Atlanta, GA | Bug-Off Exterminators, Inc. The exterminators working for Bug-Off Exterminators are professional and provide mosquito service for those living in the Atlanta area. We have experience working around residential homes and commercial buildings as well as apartment buildings and other types of property. During an inspection, our exterminators look for signs of standing water that can attract mosquitoes as well as signs that eggs and larvae are growing. If you just remove the adults, those eggs will eventually hatch and leave you battling the bugs again. 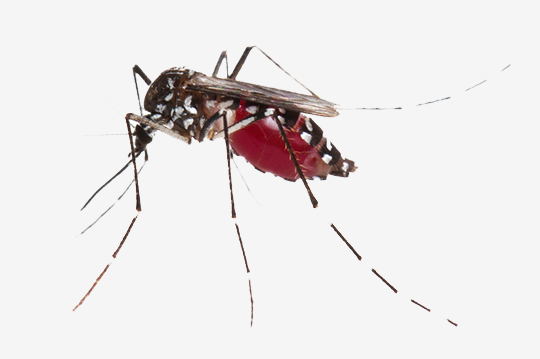 Our treatment allows us to treat mosquitoes in all stages of the life cycle. Summer might be your favorite time of year until mosquitoes take over your lawn. Mosquitoes typically wreak havoc on Atlanta homes during the summer months. Those annoying little insects can also stick around through the fall. There is nothing more annoying than feeling mosquitoes bite as you try to have fun. With Bug-Off Exterminators, Inc., you can now get some freedom from those mosquitoes. Are you so tired of dealing with mosquitoes that you spend hot days trapped inside your house? The problem is that these insects can breed so quickly that you have little chance to stopping them on your own. Any standing water, including puddles left behind by storms and the water you use in your garden, can attract those insects. With our pest services for mosquitoes, you can enjoy spending long hours in your yard without coating yourself in bug spray first. The right treatment can kill mosquito adults and reduce the risk of mosquitoes coming back in the future. When you call and schedule an appointment, we come to your home or place of business to start the service. Eggs can grow in nearby water sources and including any rain barrels or inflatable pools. This gives us an idea of the severity of your mosquito problems and helps us decide how to best treat your lawn. We do not simply spray a few spots on your lawn and call it a day. Our trained and trustworthy exterminators will spray the perimeter of your lawn and anywhere else they notice mosquitoes. We can also place traps for mosquitoes that will kill the next generation. This not only kills the mosquitoes currently wreaking havoc on your yard but also the eggs that can hatch and cause a problem later. Our sprays will kill mosquitoes but will never damage your lawn or plants. For the best results schedule monthly visits for your Atlanta, Georgia home. If you're tired of dealing with mosquitoes every time you step outside, call Bug-Off Exterminators, Inc. at 770.928.8000 to schedule an appointment for your property.